Bahamas is one of Brides Magazine’s Best Honeymoons for 2011, according to the recently announced BRIDES and Signature Travel Network Best Honeymoons 2011. And in the first of the list revealed, Bahamas was named amongst “The World's Top Honeymoon Destination” coming in at #9 on the listing of Top 10. This not only amplify the Bahamas popularity as a honeymoon destination but solidifies the Bahamas as the place for destination weddings and honeymoon. As it is only one of two countries to make both the "best destination wedding" "best honeymoon" lists. Brides Magazine is set to reveal the complete result of the survey in its March issue which will also detail the top 20 honeymoon destinations, top 5 hotels and resorts and best beaches. 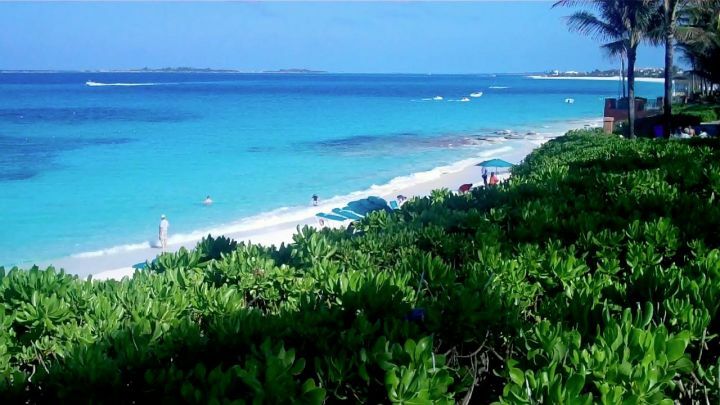 The magazine is quoted as saying that the top honeymoon destinations are “signaling a trend to stay beach bound.” Putting the Bahamas in an enviable position as the Islands of The Bahamas have more territorial waters and secluded beaches than all of the other Caribbean Islands combined and almost any place else in the World. Glenn S. Ferguson is the resident Bahamas Wedding Officiant and Marriage planner at Bahamas Destination Wedding a company in the Bahamas that provides wedding in the Bahamas services.